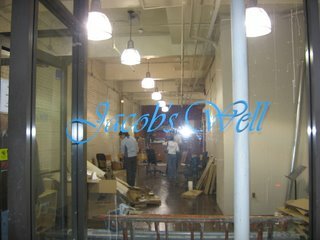 Well, it’s about time I wrote about Jacob’s Well, because it’s become a rather important part of my growth and learning here in Vancouver. Jacob’s Well defies definition in a lot of ways. It’s not a soup kitchen, although we do a lot of eating there. It’s not a shelter, although we hang out in the building a lot. It’s a place where I volunteer, but more accurately, it’s a community and a family I belong to. Words like “community” are over-used, but really, if ever there were a ministry that lived up to its mandate of being “relationally-driven rather than program-oriented”, it’s this one. In case you haven’t heard about the Downtown Eastside, the neighborhood in Vancouver where the Jacob's Well storefront is located, let me fill you in on a few statistics (stolen from a talk I’ve Joyce Heron, the director of Jacob’s Well, give many times)… it’s the poorest postal code in North America. 16 000 people live in this 5-square block radius, mostly in SROs (single room occupancy), which are 10x10 foot rooms, usually in old converted hotels. The Jubilee is an SRO above Jacob’s Well, where 80 people share about 5 washrooms and 2 kitchens. 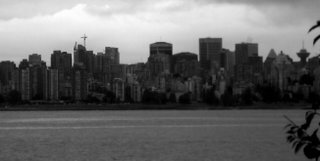 Over half of the Downtown Eastside residents are mentally ill – this is 18% of all mentally ill people in BC, in one neighborhood. Out of the total 16 000 people, about 10 000 are drug users, and 5000 are needle users. 37% have AIDS, 67% are HIV positive, and 92% are Hepatitis C positive (also a terminal illness). This is the largest health pandemic in the Western world. By concentrating SROs and welfare systems in the Downtown Eastside and policing less aggressively there, the city is trying to contain it to one neighborhood. The Downtown Eastside is also a neighborhood with 84 non-profit organizations, of which a third are faith-based. You can get fed seven times a day, and more when Christians walk around at night passing out sandwiches. So what do you bring to a place like this where people are already being fed and clothed and told the Gospel, but infection and addiction and death tolls are still rising? The idea at Jacob’s Well is that the method is as important as the message. The people at the Well see no biblical mandate to save or fix people – only to love them. As friendships develop between Downtown Eastside residents and volunteers at Jacob’s Well, as we live the everyday Christian life around them, and as we both serve and are served by them, God’s kingdom is announced in a powerful way. I feel privileged to have seen this in action, and to be continuing to learn what it means to follow Jesus’ example in being not a friend TO but a friend OF the poor. In practical terms, this can look very different from day to day. Some volunteers help lead a worship service on Monday nights. Others join in Tuesday night community kitchen, when some of the 80 people who live above Jacob’s Well come down to buy food, prepare a meal, eat it and clean it up together. Wednesdays are usually days when volunteers tend the plots of land we’ve converted to community gardens. Thursdays and Fridays (I’m on the Friday team) are days when we visit friends in the hospital, deliver food to disabled members of the community, and open the storefront for coffee for whoever wanders in. We have a party every month. I have done many things on Friday afternoons, from cleaning bathrooms to baking muffins to playing guitar at the funeral of a man I’d never met, attended by five people. 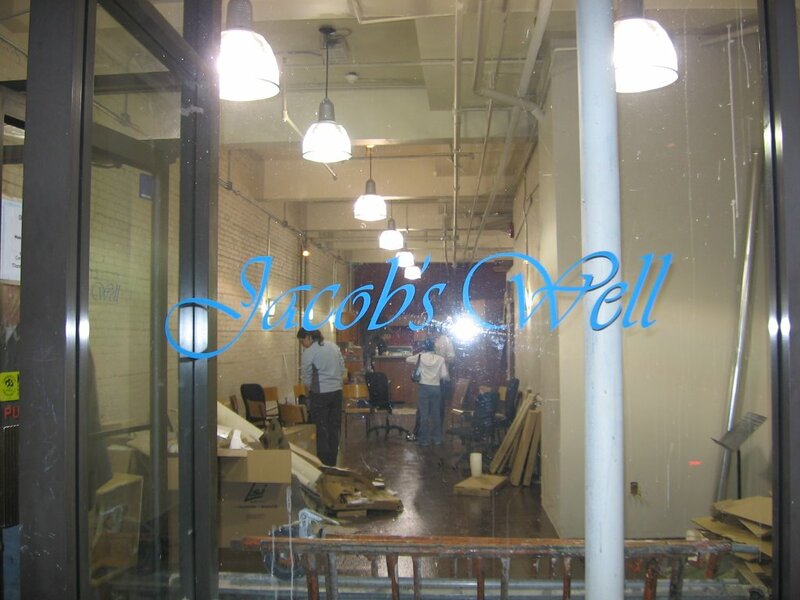 Several months of volunteering at Jacob’s Well on Fridays have taught me to expect to be asked to do new things. Last week, as Joyce, Berto and I donned blue hospital gowns and latex gloves, preparing to enter a room in the intensive care unit at Vancouver General Hospital, I realized I was embarking on another unique experience. Nicolai’s voice scared me the first time I met him last year, when he wandered into Jacob’s Well, yelling loudly in his Eastern European accent. When he returned the next Friday, I remained wary of him. The other staff seemed relaxed around Nicolai, and asked him to play a song on his harmonica. He plucked it from his jacket pocket and obliged, and we clapped along. I noticed him repeating phrases he had spoken the previous week: “I’ll see you when I see you” and “So far so good,” among others. The last of my fears melted when he sang “Pretty Woman” with twinkling eyes and a mischievous smile. Later, I became a contestant in his favorite game: guessing the capital city of any European country he named. He had them all memorized. I did not. I failed miserably. (A tip in case Nicolai asks: the capital of his home country, Bulgaria, is Sofia.) As the weeks passed, I improved at the game, and gradually the voice I had feared became a voice I hoped to hear in the doorway. But in that unfurnished and profoundly lonely hospital room, I barely recognized Nicolai. I had never seen him clean and shaven; his skin was a new colour. His old blazer and cane were hidden somewhere, replaced by a white gown. It made me uncomfortable to see this calloused, gruff man so vulnerable; I had a strange urge to cover him back up with his familiar stubble and dirty clothes. Nicolai mouthed words to Joyce, the best lip-reader in the group, asking her to scratch his head. She did, with her latex-gloved hand. Sudden childhood memories surfaced; I recalled my father rubbing my head to help me fall asleep. At that moment, eyes closed and smiling, Nicolai seemed just as childlike as I had been. I couldn’t believe I had once feared this man. “Nicolai,” Joyce said, “they usually only let family members visit patients here. We told them we had become your family down at Jacob’s Well, and they let us see you.” Still rubbing his head, she told Berto and I how she and Nicolai had met at a bus stop, how he became part of the Jacob’s Well family. Nicolai interrupted often, mouthing out his own memories, visibly proud that his story was being shared. Joyce suggested we sing, so we sang “Great is Thy Faithfulness” for Nicolai. As the familiar lyrics left my mouth in a shaky harmony, I wondered whether I would trust God’s faithfulness if I were in Nicolai’s place. Did Nicolai know God’s faithfulness? Would our visit communicate it to him? Would he understand our love? We prayed together for God to bring him wholeness and peace. The room seemed less lonely and cold than when we had arrived, and Nicolai was calm as our visit ended. He told us not to worry about him. We assured him that we would, and that we’d keep praying. We said goodbye. “I’ll see you when I see you,” he mouthed to us, with that familiar mischievous smile.